First off let me say that I was so happy to do this wedding. Erin is the sister of one of my wife’s best friends in dental school. 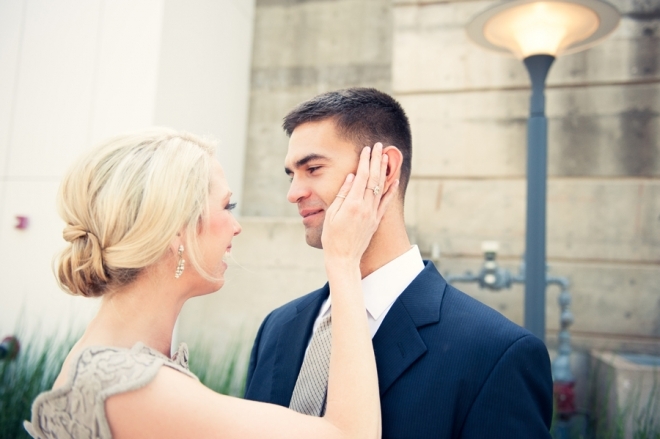 This wedding took place in Oklahoma City…a place where my wife and I are very familiar with. :) This wedding was a little different in that we did the couples shoot before the ceremony. As you can see in the first few pics this is where Mat and Erin first saw each other…..so glad I captured this! 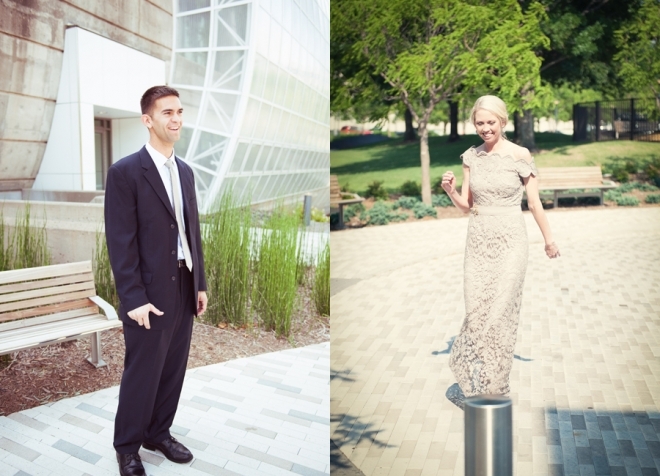 We started the couples shoot at the Myriad Gardens and made our way down to Brick Town where we ended up at Nonna’s . The ceremony took place on the balcony of Nonna’s, and it was such a beautiful ceremony. The cupcakes were so adorable and were done by Sugar OKC. This was such a great day and I had a great time with the new couple. They did Awesome! Thanks so much guys and I wish you all the best on your new life together. ryan these pics are amazing!! Thank you sooo much! My lil’sis looks so beautiful!